Eaglemoss presents the Alien and Predator figurine collection! Your favorite characters from the sci-fi franchise are meticulously rendered 1:16 scale, standing approximately 3 3/4-inches tall. 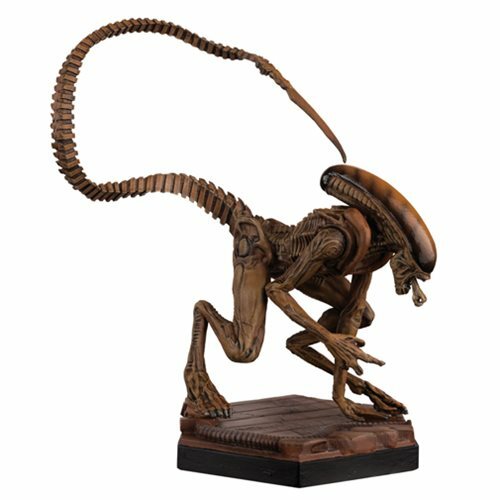 This Xenomorph statue, based on Alien 3, comes with the volume #4 companion guide that explores the creature. Ready for battle, the Alien and Predator Alien 3 Xenomorph Figure with Collector Magazine #6 is cast in metallic resin and hand painted. Ages 14 and up.